New Delhi: The railway ministry is unlikely to propose freight marketing plans in the railway budget in February, a pause after the government announced a series of measures in the past few years that failed to attract major private investments into wagons and freight terminal projects. Beginning 2005, Indian Railways has been introducing new schemes or reworking existing ones, in order to attract more investments into these areas to boost revenue. She, however, declined to give details of the changes that might be proposed. Vinay Mittal, chairman, Railway Board, during a press conference on Wednesday, also acknowledged that the railways’ freight marketing schemes had failed to generate much investor interest. The railways expected to earn Rs68,000 crore in freight revenue in the year to 31 March, Mittal said. Initiatives, including the so-called wagon investment scheme, wagon leasing scheme, private freight terminal, special freight train operator and automobile freight train operator scheme and a Railways’ Infrastructure for Industry Initiative (R3I), were introduced between 2005 and 2010. Several amendments were made to each of them over the years, but they either did not take off or performed poorly. 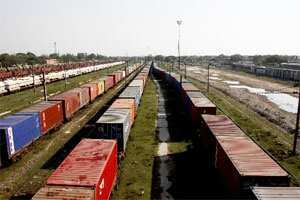 The managing director of a steel company said that the biggest problem has been timely availability of wagons. “The railways has consistently failed to ensure that wagons are available when we need them," he said, asking not to be identified. “Moreover, they sometimes take up to two years to finalize new schemes, and even after that, there is no clarity on various key issues. That puts off their target customers." The railways has failed to attract private investment because of both logistical and financial reasons, said Abhaya Agarwal, executive director with Ernst and Young. “It is unable to compete with roads because it cannot offer better turnaround times and is not as cost-effective. Till this changes, there would be few takers for these schemes," he said.